For readers and writers everywhere…. 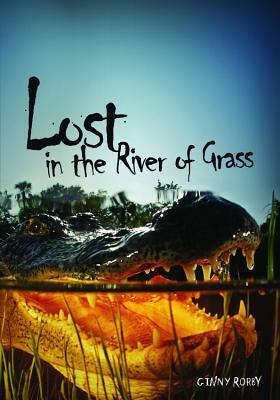 Ginny Rorby’s book Lost in a River of Grass is a adventure story highlighting one of the most strangely beautiful places in the world: the Florida Everglades. At first, the Everglades appear to be a barren grassland for as far as the eye can see. They are, however, home to beautiful birds of all sizes and colors, small creatures that make their home in the waters that surround the sawgrass, dangerous animals like the Florida Panther and, of course, alligators. Sarah, a 13 year-old, accompanies her science teacher and classmates on a weekend trip to the Everglades even though she is well aware that she is the outsider of the group. Sarah has a swimming scholarship at an expensive private school where her mother works in the cafeteria. She is avoided or made fun of by the girls on the trip and is befriended by Andy, 15, somewhat of an Everglades local. Sarah pretends to be sick to avoid the daytrip with her class so that she can take an airboat ride with Andy. Their picnic turns into a fight for survival. Rorby’s characters aren’t perfect which is why readers will love them- Sarah whines a lot as they slog through the Glades on foot and Andy, who knows how to survive is, at times, anything but a knight in shinning armor. Some of their adventures are based on events straight off the nightly news- one in particular involves a huge boa constrictor – that’s all I’m saying bout that! Readers of Rorby’s novel Hurt Go, Happy will be delighted in being reacquainted with a few old friends at the end of the novel. If you haven’t read Hurt Go, Happy, I also recommend that novel as well. Both of theses books will be a hit with middle schoolers. Mystery Lovers, this one’s for you…. I have loved mystery novels for as long as I can remember. The first “big” book I read was called The Mystery of the Half Moon Cat. I have no idea who wrote it or if that is the correct or complete title but I will never forget the feeling of being frozen in place and holding my breath to see what would happen next. 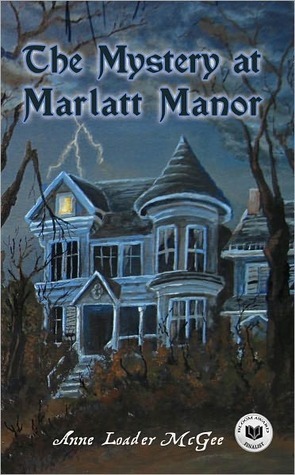 The Mystery at Marlatt Manor will do the same thing for young readers today. Thirteen year-old Mallory Gilmartin, her mom and her older brother move to the small town of Cedar Creek after her parents divorce. Mallory is anything but pleased with the move and starting at a new school. A deserted mansion on the top of the hill near the cottage her family is renting quickly distracts her. She learns about the tragic disappearance of Violet Marlatt, a young girl who once lived in the manor. Mallory is a smart and strong character that challenges herself to figure who or what is behind the strange things happening at Marlatt Manor and what really happened to Violet Marlatt. McGee sets her novel in the 1970s and it really is a trip down memory lane for adult readers when Mallory goes to the library to look up old newspaper stories about the mysterious Marlatt family. I highly recommend this novel, it is fast-paced and a great story with many unexpected plot twists. It is just creepy enough to keep you reading but not so much to ruin a good night’s sleep with nightmares. This is by far, the BBOS- Best Book of the Summer!Before I tell you about it I need to clarify or modify something about my blog. As I look back on my posts I realize I need to amend my blog to book recommendations, not reviews. I have one rule for my students when reading for pleasure- if you don’t love the book you are reading, put it down and move on. So, having said that, I don’t finish books I don’t like so there will only be postings about books I enjoyed and think YA readers will enjoy as well. Having followed that rule all summer, as of today, I’ve read 12 YA books and 25 adult novels – I have ditched 4 YA and 2 adult novels. Now, back to Shackleton’s Stowaway. I also noticed that, I have been heavy on historical fiction this summer, which is not my usual reading pattern but I am building my blog to appeal to all types and interests. I read this book a few years ago- during daily silent reading during homeroom and remember enjoying it but it is not a book that should be read in 30 minute increments! After seeing the Google City Street of Shackleton’s hut in Antarctica, I wanted to reread it and Endurance: Shackleton’s Incredible Voyage by Alfred Lansing. 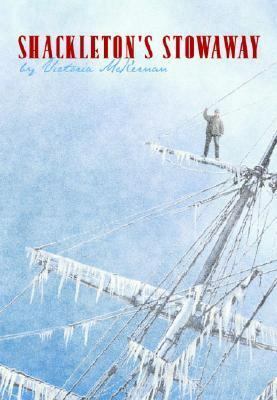 McKernan’s novel does brilliantly what I love most about historical fiction, the reader really feels for the characters and their dire circumstances in temperatures well below zero – living on moving ice…. She uses the Stowaway – and yes, there really was a Stowaway- Perce Blackborow, to tell the tale of Shackleton’s voyage. The book starts an entry in Perce’s journal that will make your toes curl. The book then flashes back to the beginning of the story. Readers will be amazed at what this group of men managed to survive- without an iPhone or a GPS or even a working radio! The novel very accurately portrays life on the Endurance and the ice. The author interviewed family members of the crew and heavily researched the trip. The sled dogs and resident cat that lived on board the Endurance are sure to tug at readers’ heart strings as will the love and compassion given them by the crew. This novel kept me up late and stayed with me even when I wasn’t reading it. Even in such a frightening situation, the night skies and the beauty of the landscape were not lost on the crew of the Endurance and the author captured it brilliantly. Read this book, recommend it to your students, they will get a real feel for the idea of what “wilderness” really is.